This post was written by Richard Nunes da Silva and he kindly allowed me to publish it here. If you have any feedback feel free to write into the comments or contact Richard directly via Mail. Today we’re going back in time, more precisely to 2008, to talk a little bit about Braid, one of the best games I’ve had the pleasure of playing. Paradoxically, the topic of this article will be a game design decision that bothered me at the time both as a player and game designer. Along with this, Braid has an interesting narrative that allows the player to interpret the plot in several different ways. After the introductions, let’s analyze and break down some game mechanics and rules. Warning, minor spoilers may occur! 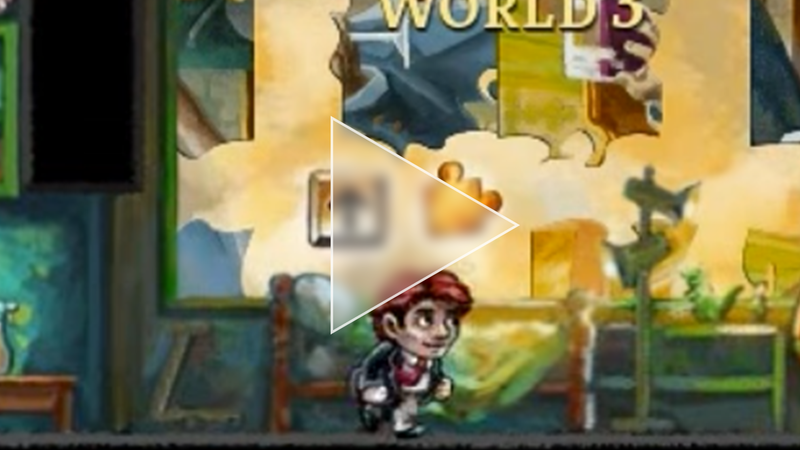 Braid’s main mechanic it’s the ability of Tim (the main character) to go back in time. Unlike Prince of Persia: The Sands of Time, where the player has a limited amount of uses and duration of this ability, in Braid you can go back in time just how far away you want, as much as you need. This ability fulfills its role as game mechanic and as a narrative tool, as one of the philosophical questions raised by it is: “What if we could fix our past mistakes, avoiding our disappointments in the present and still learn from them for the future?”. Okay, maybe not exactly those words, but at least is the interpretation that I believe that fits the best. In other words: “Do not worry about your past mistakes, you can always fix them”. However, there are other rules regarding time travel. One of them is the green aura mechanic, which makes the objects that have it, immune to Tim’s ability to control the time. This door for example doesn’t close again, even if we go back in time. The next mechanic we are going to analyze it’s the way the puzzle pieces works. They are scattered throughout the levels of each world and its main goal is to be another source of plot information. 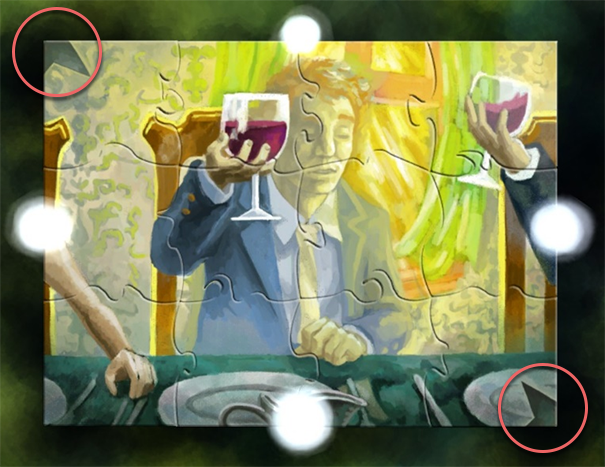 At Tim’s house (the game HUB), you can assemble the pieces to form an image that, just like the rest of the narrative, is open to interpretation by the player. It is therefore a mechanic used in favor of the narrative. Last but not least, let’s take a look at the stars mechanic, something that I only discovered after finishing the game, believe it or not. In order to unlock the true ending of the game you must find 8 stars that are (very well) hidden throughout the game. And that’s where things took a weird turn for me. Hummm, so we must disassemble the puzzle in order to pick up the star, right? 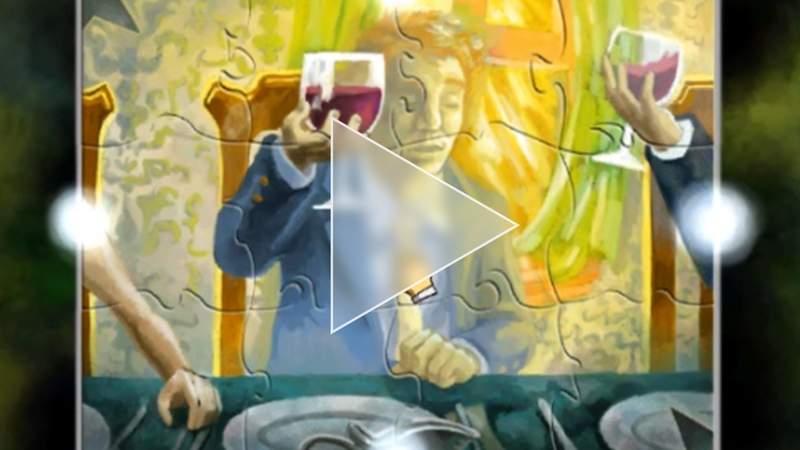 As soon as the puzzle is solved, (an action expected from the player) it can’t be separated anymore. Ok, but I can still go back in time to fix this, right? But we saw earlier that only the objects with a green aura are immune to time travel, something established by the game. The puzzles don’t have the aura, therefore they should be affected by Tim’s abilities or the game should simply allow me to disassemble the puzzle pieces, right? Right. 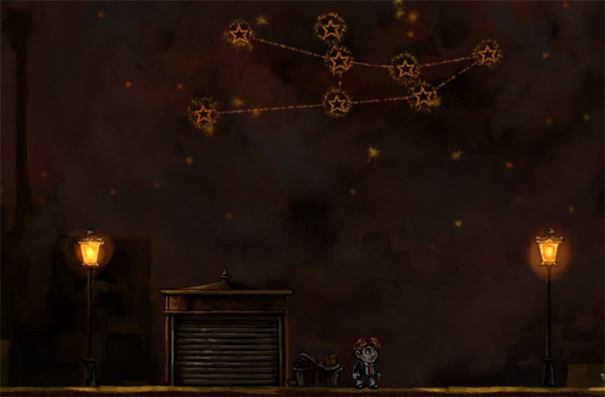 And that was the game design decision that confused me in Braid. The game taught me from the very beginning its rules and they were always consistent, except at this point. 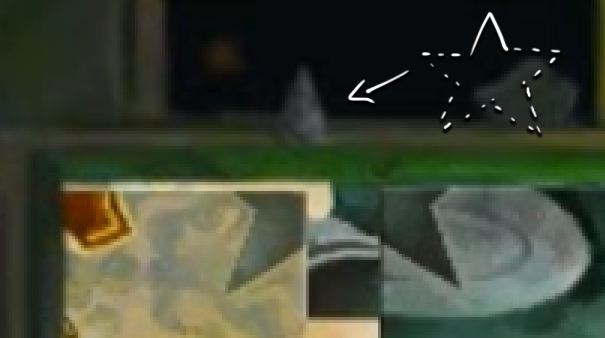 And besides, if the player doesn’t find this star before solving the puzzle (which is likely to happen on your first playthrough), you won’t be able to unlock the true ending, no matter how hard you try. Thus, the player ends up being punished for… solving a puzzle. I suppose that this specific issue has not been discussed much because it is a situation that few players will find themselves in, since many won’t discover about the stars or will prefer to see the real ending on YouTube as soon as they find out. Fortunately, this was the only “problem” I found in Braid, a game that even after 7 years (!) still holds up among my personal top 10 list. In conclusion, we have seen that it is important to be wary of inconsistencies in the rules of our games since they can disturb the gameplay experience of the player, even a fan (like me). If you know of another similar example, leave a comment below! This entry was posted in Game Design Tricks on 7. December 2015 by Simon. The Puzzle puzzle does seem like a good way to force the player to play through the game again, and as a result start reinterpreting the plot with the ending twist in mind. The existence of the time trial mode in the pause menu also supports this idea. One of the challenges is beating the entire game in under an hour, suggesting that Blow wanted the player to play through a great many times and draw connections between the plot and puzzle elements. Hi DoubleW, that’s an interesting point of view, even though I think there are other ways of showing this intention to the player, especially if you consider that you don’t know what’s going to happen after you pick up all the stars (assuming the player has not watched it on YouTube). On the other hand, maybe that’s a way to suggest that you can only reach your final goal after several failures, even if it means to start from the scratch. From the plot point of view this may make sense, but if we look with a game design perspective, I think the punishment is too severe.